The Association for Career and Technical Education (ACTE) reports that during the week of Sept. 24-28, Congress approved a final FY19 Labor, Health and Human Services and Education appropriations bill that will increase funding for the Perkins Basic State Grant by $70 million, bringing the total to nearly $1.263 billion for next school year (2019-20). Both the House and Senate approved the funding measure with overwhelming bipartisan support, and it was signed into law before the official beginning of the new fiscal year on Oct. 1. This is the first time in many years that the appropriations bill covering education programs has been signed into law before the beginning of the fiscal year without the need for a continuing resolution. ESSA Title IV-A Student Support and Academic Enrichment Grants: Increase of $70 million, to $1.17 billion. This program can provide funding to career and technical education (CTE) programs, particularly in the areas of college and career guidance services, education technology and STEM education. Pell Grants: Increases the maximum Pell grant by $100 to $6,195 for the 2018-19 academic year with continued support for year-round Pell. Apprenticeship Opportunities: $160 million, an increase of $15 million. Adult Education: State grant program increase of $25 million. SkillsUSA has fielded the 2019 WorldSkills USA team, with 23 competitors heading to Kazan, Russia, to compete in 21 skill categories including a demonstration event in Cyber Security. There are 22 experts plus SkillsUSA staff advising and supporting this team, and the 45th biennial event will be held Aug. 22-27, 2019. Our lead sponsor is 3M. Meet the team here: www.WorldSkillsUSA.org. SkillsUSA has partnered with Harbor Freight Tools for Schools on a new grant opportunity for SkillsUSA high school chapters. Eligible programs can receive up to $5,000 to strengthen their local SkillsUSA chapter. Applications will be accepted through Nov. 15 and grant recipients will be announced Dec. 1. To apply, chapters must complete an electronic application and explain how they will use the grant to improve the SkillsUSA program at their school. Applications will be evaluated based on proposed plans, community partnerships and sustainability of program improvements. Schools with 75 percent or more of their enrolled students qualifying for free or reduced-price lunches are encouraged to apply. Grant recipients will be required to complete an evaluation of their implementation during the 2018-19 school year, sign photography/video waivers and provide photos of students and teachers participating in activities funded by the grant. Grant restrictions: The grant may not be used for the purchase of tools, hardware, electronics or related items or accessories including automotive and motorcycle supplies or accessories, engines and generators, garage and machinery equipment or accessories, lawn and garden equipment, welding equipment or accessories, or material handling equipment and supplies. To complete the grant application, go to: https://skillsusa.wufoo.com/forms/harbor-freight-tools-for-schools/. For more information, email Cathy Arrington at carrington@skillsusa.org. SkillsUSA hotline operators are ready to answer your questions on how to start a new chapter, engage chapter members and strengthen an existing chapter. Operators are on call from 8 a.m.–5 p.m. (Eastern time) Monday, Wednesday and Friday and from 11 a.m.–7 p.m. (Eastern) Tuesday and Thursday. Call the hotline toll free: 844-875-4557. Don’t have time to call? 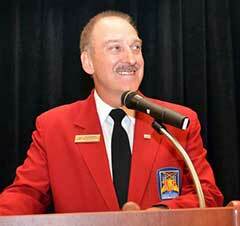 Send the operators an email at operators@skillsusa.org or chat with them online at the membership registration site. The program consists of three award levels. Each level is designed to give chapters a benchmark for success and future improvement, leading to stronger chapters and more prepared students. The first level of the program honors chapters for meeting standards as a “Quality Chapter.” The second level recognizes chapters that go beyond the basic requirements with bronze, silver and gold “Chapters of Distinction” awards. The third level will honor the best chapters in the nation with a “Models of Excellence” award at the 2019 SkillsUSA National Leadership and Skills Conference. The Citizen University Youth Collaboratory is a yearlong program for 24 highly motivated students from around the country who are passionate about making a positive change in their communities and country. The Youth Collaboratory is one component of Citizen University’s Youth Power Project, a multiyear effort supported by a grant from the Ford Foundation to empower and connect a rising generation of civic leaders and doers. Applicants must be current high-school sophomores or juniors. To learn more and to apply, go to: www.citizenuniversity.us/youth-power-project. The application deadline is Nov. 13. Open your door to the world while developing your skills! A unique full-ride scholarship allows graduating high school seniors pursuing careers in the skilled trades the opportunity to spend a gap year in Germany living with a host family, participating in a school or training program, and getting hands-on work experience through internships with German companies. No prior German language study is required. The Congress-Bundestag Vocational Youth Exchange is sponsored by the U.S. Department of State. For more information, please see the Nacel Open Door website: www.nacelopendoor.org. The American Bankers Association Foundation wants to encourage financial responsibility in students with its “Lights, Camera, Save!” video contest, which calls on students to educate themselves and their peers about using money wisely. The contest is open to all students age 13-18. The entry period is Oct. 1-Dec. 3. The top three national winners will receive awards of $1,000, $2,500 or $5,000 for the most creative, innovative concepts. Winning videos will be posted on YouTube. The top-three national winners will receive a scholarship to attend the Jump$tart National Educator Conference. Winners will be announced in March. Visit www.LightsCameraSave.com for additional contest information.